The Permo‐Triassic mass extinction devastated life on land and in the sea, but it is not clear why some species survived and others went extinct. One explanation is that lineage loss during mass extinctions is a random process in which luck determines which species survive. Alternatively, a phylogenetic signal in extinction may indicate a selection process operating on phenotypic traits. Large body size has often emerged as an extinction risk factor in studies of modern extinction risk, but this is not so commonly the case for mass extinctions in deep time. Here, we explore the evolution of non‐teleostean Actinopterygii (bony fishes) from the Devonian to the present day, and we concentrate on the Permo‐Triassic mass extinction. 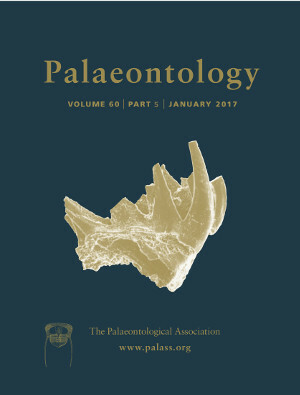 We apply a variety of time‐scaling metrics to date the phylogeny, and show that diversity peaked in the latest Permian and declined severely during the Early Triassic. In line with previous evidence, we find the phylogenetic signal of extinction increases across the mass extinction boundary: extinction of species in the earliest Triassic is more clustered across phylogeny compared to the more randomly distributed extinction signal in the late Permian. However, body length plays no role in differential survival or extinction of taxa across the boundary. In the case of fishes, size did not determine which species survived and which went extinct, but phylogenetic signal indicates that the mass extinction was not a random field of bullets.